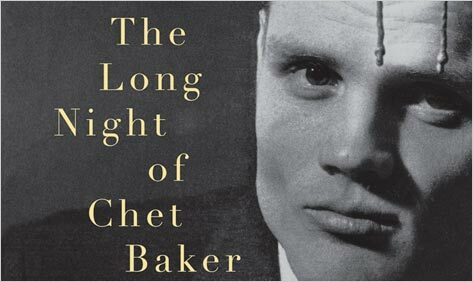 James Gavin’s book about Chet Baker, the jazz singer and trumpeter who first gained fame in the early fifties and who, only a few years later — and for the rest of his life — was better known as a heroin addict as unregenerate as any in the history of the music, was first published in 2002, fourteen years after Baker’s death in Amsterdam, at fifty-eight, almost certainly by suicide; it has only now appeared in paperback. This long lag is hard to fathom. As evidenced most strikingly in the portraits of Baker in Geoff Dyer’s 1995 But Beautiful and Dave Hickey’s 1997 Air Guitar, and in the response to Bruce Weber’s 1988 documentary film Let’s Get Lost, released just after Baker’s death, and screened in a restored version at the Cannes film festival only three years ago, there has always been a Chet Baker cult. But more than that, Deep in a Dream — named for a particularly affecting, cloudlike Baker recording from 1959 — is not an ordinary biography, though there is nothing unusual about its form (from birth to death and aftermath) or style (direct and clear). It is a singular work of biographical art that makes most studies of, as Hickey’s essay on Baker is so wonderfully titled, “A Life in the Arts,” seem craven, compromised, or dishonest, with the writer falling back before the story he or she has chosen to tell, for whatever reasons offering excuses or blame in place of a frank embrace of the unresolved story each of us leaves behind, producing less any sort of real entry into the mysterious country of another person’s life than a cover-up. To put it another way: except in the rare cases of those strange creatures who, like T. E. Lawrence, create themselves to such a degree that it becomes nearly impossible to imagine that they ever experienced a trivial or even workaday moment, the dramatic sweep we find in novels or movies is not really the stuff of anyone’s life. No matter how the writer may try to have it otherwise, most biographies are simply one thing after another. The life of a junkie is not just one thing after another, it is the same one thing after another — and yet there is not a page in Deep in a Dream that is not engaging, alive, demanding a response from a reader whether that be a matter of horror or awe, making the reader almost complicit in whatever comes next, even when, with the story less that of a musician who used heroin to play than that of a junkie who played to get heroin, it seems certain that nothing can. That gave Baker an instant credibility in jazz. Ruined or not, Charlie Parker, with Dizzy Gillespie the progenitor of bebop, was the genius, the savant, the seer, the stumbling visionary who heard what others could not and could translate what he heard into a new language that others could immediately understand, even if they could never speak it themselves. If Parker said that Baker’s playing was “pure and simple,” that it reminded him of the Bix Beiderbecke records he heard growing up in Kansas City, that made the perhaps apocryphal story of Parker telling Gillespie and Davis, “There’s a little white cat on the coast who’s gonna eat you up” almost believable. But it was Baker’s face — as much or more than his joining in a new L.A. quartet with Gerry Mulligan, the baritone saxophonist and junkie who had played on the Birth of the Cool sessions, or Baker forming his own group and then headlining at Birdland in New York with Gillespie and Davis below him on the bill — that made many people want to believe it. Well before the end of his life, after he had lost most of his teeth in a drug-related beating in San Francisco, after he had turned into as charming, self-pitying, manipulative, professional a junkie as any in America or Europe, where for decades he made his living less as a musician than a legend, Baker wore the face of a lizard. In some photographs he barely looks human. But at the start he was, as so indelibly captured in William Claxton’s famous photographs, not merely beautiful, not merely a California golden boy — in the words of the television impresario and songwriter Steve Allen, someone who “started out as James Dean and ended up as Charles Manson.” He was gorgeous, he seemed touched by an odd light, and he did not, even then, look altogether human — but in a manner that was not repulsive but irresistibly alluring. His legend — the way in which, with the clarity and ease of his tone as a trumpeter, and the preternatural calm, quiet, and reflectiveness of his singing, the way in which he could, “somehow,” as Gavin quotes the Italian pianist Enrico Pieranunzi, “express the question mark of life in so few notes,” the way in which Baker was a cult in and of himself — was as the years went on not just a Johnny Thunders death watch, a spectacle of self-destruction, the face of the monster slowly grinding down the memory of the angel. Rather it was, through all the years of working less as a musician than as his own pimp (“One uninspired night at the Subway Club in Cologne yielded three albums”), of a self-degradation so extreme it had to be, in its way, its own reward (“Waking from a nod…he found his face crawling with cockroaches…”), the chance that the pure talent, as a thing in itself, might still be there, might still emerge on any night, in any song, and then, again, vanish, humiliating the man who could not find his voice at will or even refused to, and mocking the memories of those who could not admit that they had not heard what they thought they heard. In Gavin’s hands this is a long, long story of infinite shadings, where every incident that is formally the same as every other nevertheless has its own color, tone, and sound. He never attempts to ingratiate himself into the story, to wrap himself in its putative hipness when Baker seemed the epitome of cool; he never preens in knowingness, or feigns intimacy with Baker when Baker is the epitome of everything desperate and sordid. He places hip words or drug language in quotes or follows them with explanatory parentheses (“His arms and legs were full of bloodied ‘tracks'”), at once establishing his own distance from the story and refusing to allow the reader any false empathy or easy identification — to strip the reader of his or her own putative hipness, the hipness of anyone cool enough to want to read a 400-page biography of Chet Baker. The song fascinated Baker. It captured all he aspired to as a musician, with its sophisticated probing of a beautiful theme and its gracefully linked phrases, adding up to a melodic statement that didn’t waste a note. “Valentine” became his favorite song; rarely would he do a show without it, or fail to find something new in its thirty-five bars. At the same time, the Baker mystique — a sense that “cool” was a lid on an explosive jar of emotions — had its roots in that performance. The description is so complete that when Gavin quotes Ruth Young on the 1956 album Chet Baker Sings, with “My Funny Valentine” at the heart of it — “None of these songs had any meaning for him, truly. He could have been singing Charmin commercials. He was coming from a musical place, and the words were mere notes to him…” — the view of an essential emptiness behind the creation of beauty takes nothing away from it. Greil Marcus is the author, most recently, of The History of Rock 'n' Roll in Ten Songs. He lives in Oakland, California.